HIROSHIMA, Japan — Mazda Motor Corporation today showcased the global unveiling of the Mazda MX-5 30th Anniversary Edition at the Chicago Auto Show, which runs from February 7-8*. The reveal is auspiciously timed, landing on the anniversary eve of the iconic model's global debut at the same event on February 9 1989. After 30 years and with more than 1 million examples sold, Mazda feels that the MX-5 is no longer its own creation. It belongs to the fans around the world who have supported the development of the model. To express its gratitude, and its high hopes for the future of the MX-5, the company developed Racing Orange, an exclusive body colour that evokes the breaking dawn of an exciting new day. In addition to the new colour, the MX-5 30th Anniversary Edition features forged alloy wheels (Rays ZE40 RS30) developed exclusively for the MX-5 in cooperation with Rays Co., Ltd. and a 30th Anniversary badge that displays the model's serial number. Sales will be limited to 3,000 units worldwide, including both soft-top and retractable hardtop models. 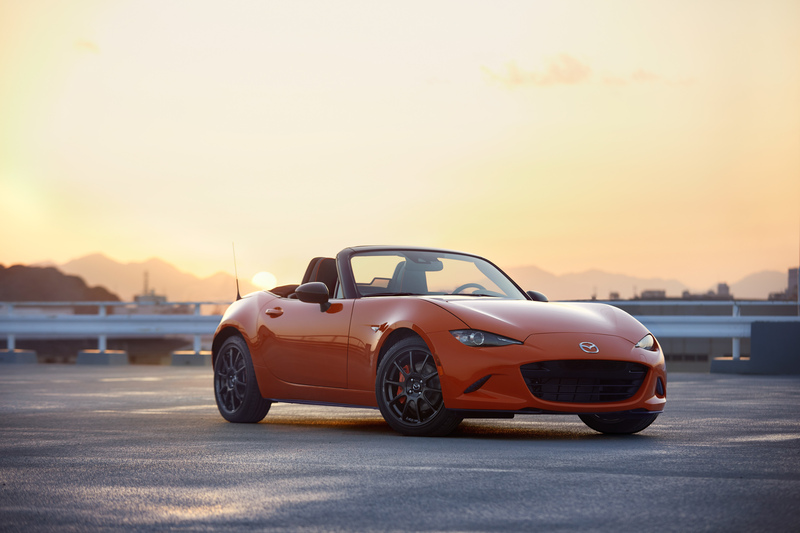 Australia will receive an allocation of just 30 soft-top models, based on the 2.0L Roadster GT, which will be offered to Mazda's loyal MX-5 customers on a first come first served basis, communicated via eDM. * Press days are February 7-8. Mazda MX-5 30th Anniversary Edition unveiled at the Chicago Auto Show, which runs from February 7-8*.